Three and one-half years ago, my youngest daughter underwent total spine fusion due to severe scoliosis. Two years ago, she was in Houston, visiting friends, and the automobile in which she was a rear seat passenger, was rear-ended on the freeway. Perhaps for most people, this would not have been a big deal, but due to the velocity of the impact, and the fact that her back now has no movement whatsoever, she was knocked out by the severe snapping of her neck. Once she regained herself, she realized that she had glass jabbed into various places throughout her body, she was unable to move her neck and right arm, she was confused, frightened, bleeding, unable to hear due to severe ringing in her ears, and in pain. At the time of the accident, my daughter was preparing to serve a mission. The accident caused quite a delay, but she persevered and was able to enter the mission field with certain limitations. Since that time, my daughter has been on a full-time church mission for 18 months. Although she suffers from the injuries she sustained, there is no time on a mission to address her issues. She comes home Monday, exactly one week after the day that the statute of limitations on her accident expires. Interestingly, the insurance company, aware of this time discrepancy, did not attempt to properly settle her medical debts brought on by their client as they promised, and are obligated to do. As they spoke with my husband and me late Friday night at 4:55 PM, they informed us that come Monday evening; we would see our daughter’s future ruined due to unsettled medical bills. Their calculated inactions, her trusting nature, and her obedience during her mission service would inflict severe negative consequences affecting her future college and career goals. The insurance company’s solution? Indemnify them before the statute of limitations ran out, and rather than paying the debts and clearing up her credit, they would issue a check to my daughter equaling one quarter of the total bills, allowing the consequences of their evil deeds to damage her life as she attempted to right the wrongs they had intentionally inflicted upon her. My weekend was a disaster. I was so distraught over their horrendous and calculated mistreatment to my daughter that I could not rest. I could not eat. I could not do anything but cry, because I felt completely hopeless and unable to help my daughter out of this terrible situation. About a year ago, a gentleman called me on the phone to discuss an article I had written about suicide. During our conversation, he had mentioned that he was a licensed attorney in the State of Texas. Is not it wonderful how God places people in our lives to help us and we do not even realize what is going on it when it happens? As I was lamenting over what could be done to help my daughter, I remembered this kind gentleman and our conversation. I wondered if he might be able to advise me at this late hour. I flashed off an email to him Friday night as I sat on my couch in tears. As he entered his office Monday morning, my friend began his workday routine by checking his emails. As he read my email, he immediately called me and offered me the assistance I needed. I am grateful to him for his assistance. Monday morning, he had a choice. He could have ignored my plea, but he chose to emulate the example of Christ, and help someone in need. His phone call was so gentle and kind. He immediately began gathering the information that I needed and emailed it to me right away. By 3:00 PM, I was able to file an action to stop the statute of limitation’s expiration, allowing my daughter to seek counsel and pursue a proper and just outcome. I pick her up in three days; one week after the insurance company’s calculated injustice toward her. Her mission has ended. The last time I saw her, she had just turned 19 years old. She is now 21. During that time, we have emailed once each week, and video chatted for 30 minutes on two Mother’s Days, and one Christmas. Those are the mission rules. She has been a very successful missionary. She has brought numerous souls unto Christ. She has served people across the world; too many to count. Her service and influence will continue without end because she has changed lives. At such a young age, she has made the world a better place. She too has followed the words of Christ and helped those in need. My attorney friend lost his wife last year. As a widower, he grieves very deeply for her companionship, their love, and the life they shared together. Throughout this year, my friend has been on my prayer list. He is a good man with a good heart. I am very grateful for his kindness toward me. Monday morning, my friend made a choice. He chose to follow the example and commandments of Christ. “A new commandment I give unto you, That ye love one another; as I have loved you, that ye also love one another.” (John 13:34) While in the service of her Lord, my daughter, kindly received service from another. We do not know how things will turn out for her future. She has a battle against a giant foe who has already tried to deceive and forcefully damage her; but, there are people in the world of moral character, and one came to our assistance while the wolves were nipping at our heels. For that, we give thanks, for that we find hope, and for that, we know my friend’s name is written in the Lamb’s Book of Life. Throughout this year, my friend has been on my prayer list, and there, I feel fairly certain, he shall remain. Please add my friend and all those who suffer loss, to your prayer list. Grief is a pain that strangles the joy out of your being and breaks your will to live. My friend is a good man; he deserves comfort as he awaits the day when he will reunite with his beloved wife in the presence of his Savior, Christ. Everyone deserves that. That is my prayer. Will you make it yours too? My name is Tracy Renee Lee. I am a Certified Grief Counselor (GC-C), the Managing Funeral Director (FDIC,) and owner of Queen City Funeral Home in Queen City, Texas. I am an author and syndicated columnist. 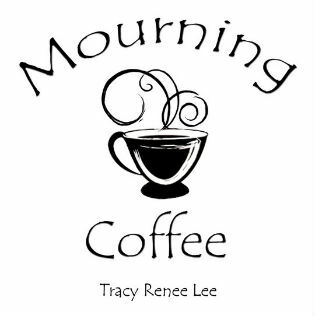 I write books, weekly bereavement articles, and grief briefs related to understanding and coping with grief. I am the American Funeral Director of the Year Runner-Up and recipient of the BBB’s Integrity Award. I deliver powerful messages and motivate survivors toward positive recovery. Last night my brother brought me a pizza from my favorite pizza restaurant in Georgia. He and his wife drove straight from Georgia to Texas to deliver the tasty delight. My sister-in-law was not with him when he rang my doorbell. He had dropped her off at their home in Louisiana before he finished the last leg of the drive to my house. She has breast cancer and is undergoing treatments in Georgia. She was too tired and worn out to continue beyond her home. When he arrived, we heated the pizza and thoroughly enjoyed every bite. I asked my brother about his wife’s prognosis. He was heartbroken and could not, at times, find the strength to speak. My brother and sister-in-law are both finding it difficult to face the predictions related to her illness. I realize that I too have difficulties with her future. My heart is broken for both of them.